Vanguard Communications Corporation is an independent consulting company founded in 1980. We help clients achieve business goals through more effective communications systems and processes. We focus on better customer interactions through contact center and self-service improvements, on better internal collaboration among field staff and knowledge workers, and on the growing convergence that unified communications will bring. Vanguard consultants are seasoned professionals. We bring business acumen, operational experience, and technical thought leadership to each client engagement. We are featured speakers at industry conferences, and contribute regularly to trade publications. We assist end user clients with strategy development and process design, as well as assessment, selection, and implementation of technology. We assist vendors with product design, business planning, and strategic market analysis. Our work with both end users and solution providers helps us stay current with real practices in business environments, yet understand where the technology and market are heading. We partner with you on each engagement. We understand your business drivers and current environment, and apply proven methodologies to meet project objectives. We work together to address the needs of your principal stakeholders – your shareholders, managers, employees, and, most importantly, your customers. Through this partnership, we develop actionable recommendations while transferring knowledge to your team. Vanguard does not have a business relationship with any solutions provider. However, we work with other independent organizations and consultants whose work complements ours. Vanguard works with Prosci on call center benchmarking studies and planning resources (e.g., Call Center Planning and Design Toolkit.) 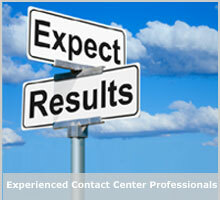 Prosci is an independent research and publishing company, and operates the Call Center Learning Center. See http://www.prosci.com/ and http://www.call-center.net/. We will add independent consultants to our projects to assemble for our clients the best team to meet their business requirements.